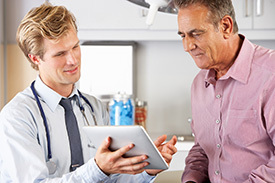 One of the biggest benefits of concierge medicine is practice size. Most physicians or healthcare providers are required to see thousands of patients in a short time and are driven by insurance company reimbursements to make money. Concierge medicine providers see far fewer patients—usually just a few hundred—which allows the provider to spend more time with each patient without worrying about how much insurance will pay. Routine medical care and services are billed to your insurance as is customary. Concierge access fees are separate and not billed to insurance but may be covered by Health Savings Accounts. Siouxland Adult Medicine is in network with and accepts all insurance plans. Should you have any questions, please feel free to call the office at (712) 234-1005. Only you can answer this question. Dr. Carlson will dedicate himself to helping you avoid such deadly conditions as: obesity, diabetes, high blood pressure, high cholesterol, and heart disease. Dr. Carlson’s goal is to not only add years to your life, but quality to those years. Patients under personalized care programs experience 65% fewer hospitalizations than like age counterparts. Consider this: The cost of preventive care is approximately $135 a month. The lifetime cost of a stroke is approximately $140,000.